West Belfast Falls Masterplan - Have Your Say! 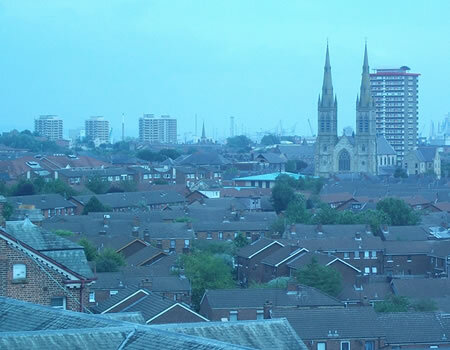 Belfast City Council is asking for people to come and hear the latest news about the multi-million pounds Falls Masterplan and give their opinions on developments so far. The Masterplan co-ordinates 14 council developments in the Falls Park, City Cemetery and Whiterock area –eight of which are now completed. The public are invited to an event in the Bowling Pavilion at Falls Park on Monday, November 14 from 3.30pm-5.00pm to discuss the upcoming projects. Councillor Matt Garrett, Chair of the People and Communities Committee, said: “We want the public to be aware of what the next steps are and hear their opinions about what is planned and how it can be best tailored to their needs. “Upcoming projects include the development of a 3G pitch and changing pavilion, an improved event space and a new service yard to help staff better manage the park, City Cemetery and surrounding area,” he added. “Our overall aim is to offer better facilities for the community and to make these sites more attractive, safe and welcoming for everyone. We also want them to be aware that the council is investing around £6million in the local area, money their rates are paying towards, and that we are working in partnership with the local community to make positive changes which will benefit all of us,” said Councillor Garrett. New playground at Whiterock Close. Information on the Falls Masterplan is available on www.belfastcity.gov.uk/fallsmasterplan.